The gluteus minimus is among the secondary muscles that can easily generate hip extension. This muscle lies deep and somewhat anterior to (facing) the gluteus medius. This is actually a wide as well as triangular muscle. The gluteus minimus and gluteus medius are actually split up through deeper branches from the superior gluteal neurovascular bundle, a group of nerves and blood vessels. The gluteus minimus emerges, in between the inferior gluteal line and the anterior gluteal line, from the external surface of the broadened upper part of the ilium and is a fan-shaped muscle. 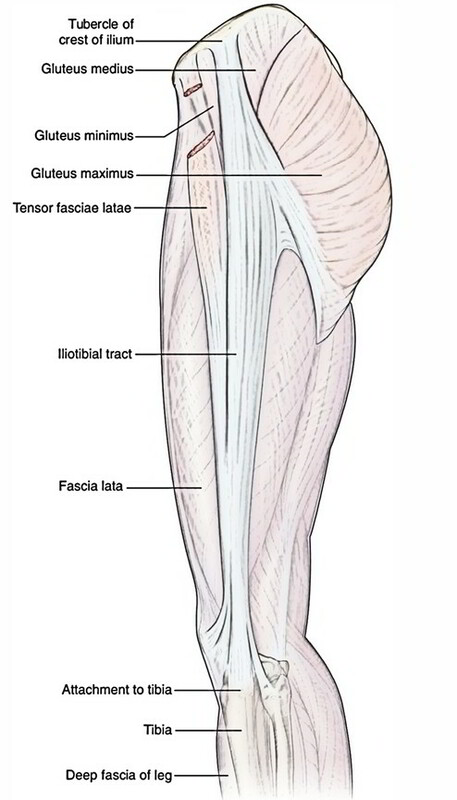 For the formation of a tendon, which inserts within a broad linear facet on the anterolateral aspect of the greater trochanter, the muscle fibers assemble inferiorly and laterally. The muscle arises between the anterior and inferior gluteal lines and, behind, from the margin of the greater sciatic notch from the outer surface of the ilium and is a fan shaped muscle. Gluteus minimus is located deep to gluteus medius. Connected to an anterolateral ridge on the greater trochanter and contributes an expansion to the capsule of the hip joint, the fibres assemble under to the deep surface of an aponeurosis that ends in a tendon. Separate slips may pass to piriformis, gemellus superior or vastus lateralis. The muscle might divide into anterior and posterior parts. Gluteus minimus attaches in between the inferior and anterior gluteal lines (Referred to commonly as the “Origin” or proximal attachment). The rough lines on the outer surface of the pelvis are called gluteal lines. There are three of them, inferior, anterior, and posterior. The greater trochanter is a large boney protrusion or bump felt on the outside of the hip. The other end of the muscle (Referred to as the “Insertion” or distal attachment) attaches onto the front of the greater trochanter of the femur. Anterior: Flexes and internally turns the femur at the hip joint. Posterior: Extends and externally turns the femur at the hip joint. Together: Stabilizes the pelvis relative to the femur (utilized in walking) or Abduction of the hip joint. The tendon from the medial part of the anterior surface of the greater trochanter divided by a bursa (trochanteric bursa of gluteus minimus). The capsule of the hip joint and the replicated tendon of rectus femoris are deep to gluteus minimus. Branches of the deep division of the superior gluteal artery and nerve run on the superficial surface of the muscle. With a support at its femoral attachment from the trochanteric anastomosis Gluteus minimus is supplied from both its surfaces, from the main trunk and the deep branch of the superior gluteal artery. The superior gluteal nerve, 1, 4, 5 and S1 innervate the gluteus minimus. Acting from below, both the gluteus medius and minimus support the horizontal level of the pelvis provided the hip joint and neck-shaft angle of the femur, by avoiding the unsupported side of the pelvis from drooping during walking and the regular activities. When the gluteus medius and minimus of one side are paralyzed due to injury of the superior gluteal nerve, the pelvis droops on the healthy side if that foot is off the ground. As a result, the person walks with a lurching gait. This is clinically called Trendelenburg’s sign. Basic single leg balance workouts. Requirements to advance to phase II, when the patient can hold their pelvis level during single leg stance for 30 seconds. Phase III: The third phase is used for athletes and created to prepare them for function, sport-specific movement patterns. Gluteus Medius Syndrome is an excessive use injury which is why it is so common in long distance runners. Symptoms worsen with long periods of sitting, standing, and walking. Grade 1: Mild pain with little or no loss of mobility. Grade 2: Partial tear with mild pain and a noticeable loss in strength and versatility. Grade 3: Full/complete tear; extreme pain combined with a complete loss of strength; restricted mobility. Which nerve supplies the Gluteus minimus? Which muscle is located deep to gluteus medius muscle? It is a large boney protrusion or bump felt on the outside of the hip. Which of the following action is performed by Gluteus minimus, anteriorly? Flexes and internally turns the femur at the hip joint. Extends and externally turns the femur at the hip joint. Stabilizes the pelvis relative to the femur (utilized in walking). Which one of the following is not a symptom of Gluteus minimus tear?